Last Wednesday was the 10-year anniversary for the Twitter hashtag and Twitter acknowledged it with the trending hashtag #Hashtag10. Formerly known as the pound sign, it’s reported that Chris Messina, a former Google designer, invented the hashtag. According to Twitter, users share an average of 125 million hashtags daily. Some popular tweets are #FollowFriday, which has been used half a billion times, and #ThrowbackThursday, which has been sent 120 million times. #NowPlaying has been tweeted more than a billion times. Of course, hashtags eventually spread to Facebook, Google+, and Instagram. While hashtags on Facebook have never taken off, they are an integral part of Instagram where more the merrier seems to be the mantra. On Twitter, a trim two are sufficient. It’s always a good idea to check trending hashtags in the left column of your Home tab or newsfeed. Sure, sometimes they’re about topics you might not be interested in but there are times when you’ll find hashtags that are related to writing, such as #1LineFriday. Hashtags are actually quite cool. You can use a hashtag to have your tweet or book get discovered. And you can use hashtags as search terms in the search bar. All hashtags are hyperlinked so when you click on a hashtag, you’ll navigate to a page filled with tweets that carry that hashtag. For a hashtag to work, you can’t separate the words in a hashtag or add other symbols to it. For example, #FollowFriday! wouldn’t work as a hashtag because by adding the exclamation mark, you lose the search functionality. #1K1H: This hashtag communicates that you’re about to write 1,000 words in one hour. #1LineWednesday: Share the best line from one of your books on Wednesdays and use this hashtag. #99c: If you have a spare $0.99 to spend on a new story, use this tag in your Twitter search bar and you’ll find a cheap eBook. You can also use this tag to find new readers if you’re selling an eBook for this price. #Amazon / #GooglePlay / #Kobo / #iTunes / #Smashwords: Use these hashtags to let your readers know where your book is available for download or order. #AmazonCart: You can encourage your readers to connect their Amazon and Twitter accounts. Then each time your readers include #AmazonCart in a tweet, Amazon will know to add the items with the corresponding Amazon link to your readers’ shopping carts. #amwriting / #amediting: These terms are commonly used for Twitter chats you join. Johanna Harness is the creator of the term #amwriting as well as the www.amwriting.org website. Chats take place throughout the day. Some authors use #amediting to let their readers know that they are editing their next book. #AuthorChat: This hashtag is used for ongoing conversations between authors. #askagent / #askauthor: These are great tags for writers who don’t have an agent or editor, but have questions for them. Who knows? You just might find your next editor or agent on Twitter. #askeditor: Similar to the above hashtag, use this one to ask an editing question. #bestseller: Have you written a best seller? Let everyone know. Refrain from using this hashtag if you haven’t written a best seller. Are you reading a best seller? Show your readers that you read as well by including the title, a link, and this hashtag in a tweet. #bibliophile / #bookworm / #reader: If you’re looking for a reader for your books, add one of these hashtags to a tweet about one of your books. #bookgiveaway: Is your book listed for free during a Kindle promotion? Use this hashtag. Use it also for your Goodreads giveaways. #bookmarket / #bookmarketing / #GetPublished: Search for this hashtag to learn more about marketing your books. #bookworm: Looking for avid readers? Use this hashtag when tweeting about your books. #BYNR (Book Your Next Read): Authors use this hashtag to promote their books. #eBook: Did you release an ebook or recently convert a hard copy novel to an ebook? Use this hashtag so that iPad, Nook, Kobo, and Kindle users can download it. #FollowFriday / #FF: This is a fun Twitter tradition for expressing gratitude to your retweeters by giving them exposure to a wider audience. On Friday mornings, write a message composed of the user names of your most loyal retweeters. You can also use #FF to connect with writers you admire or members of your critique group or book club. #Free / #Giveaway: This has become a popular hashtag on Twitter. Let readers know when you’re offering your next book or story giveaway. 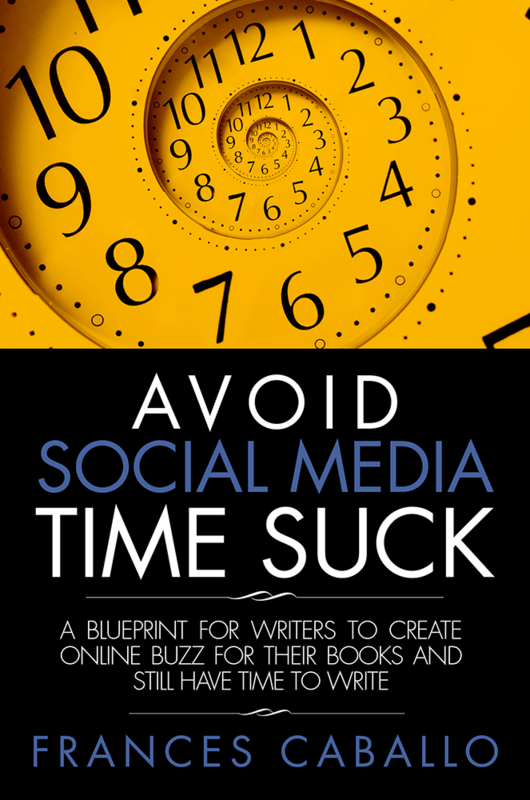 #FreeDownload: Use this hashtag when you want to promote your book as being free. #FreebieFriday: If you offer a book giveaway on a Friday, use this hashtag. #FridayRead: On Fridays, you can share what you’re reading. Refrain from using this hashtag for your own book. Authors use this hashtag to communicate their love of reading. #Goodreads: Use this hashtag when referring to a review, book giveaway, or favorite quote on Goodreads. #Greatreads: You can use this hashtag for promoting your friends’ books or just sharing your impressions of the last book you read. #Holidays: #Halloween, #Christmas, #Hanukkah, and other holidays are sometimes trending on Twitter. Use them in creative ways to promote your blog and books when you feature an event or blog post related to a holiday. #Instapoet: Use this hashtag to attract traffic to your Instagram account, to identify yourself as a poet who has risen through the ranks as an avid social media user, or to attract attention to similar poets. #KidLit/#PictureBook: Authors of children’s books will want to use these hashtags. #kindle: If you have a book on Kindle, let everyone know. 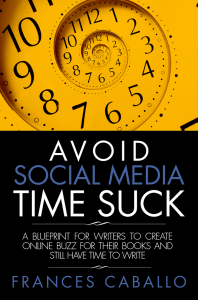 #KindleBargain: Use this hashtag when your book is listed temporarily for free. #memoir: Connect with other memorists and readers by using this hashtag. Also, designate your latest memoir with this hashtag. #nanowrimo: Every November, thousands of writers take part in NaNoWriMo (National Novel Writing Month), the effort to write a novel in one month. The project started in 1989 in the San Francisco Bay Area. Over time, it became a national and then international effort. By 2013, NaNoWriMo attracted 310,000 adult novelists, plus an additional 89,500 young writers. You can keep in touch with other NaNoWriMo writers all over the world by using the #nanowrimo hashtag in your tweets or by searching for this term. Use it to let your readers know that you’re writing another volume in a series you write too. #ShortStory: Do you prefer to write short stories? Attract new admirers with this hashtag. #ThankfulThursday: Similar to #FF, use this hashtag to thank other users in your community. #WhatToRead: Looking for a new book to read? Use this hashtag in Twitter’s search bar. #WLCAuthor: The World Literary Café is a promotional website for authors. Similar to the Independent Author Network (#IAN), Indie authors who join these organizations help each other in their promotions. TIP: These types of hashtags are unfamiliar to your readers so use them thoughtfully, if at all. #wordcount: With this hashtag you can share your progress with other writers on the book or story you’re writing. #writegoal: Users include this hashtag to announce publicly how many words they intend to write that day. #WriterWednesday / #WW: Use this hashtag to connect with writers you admire and authors who are your colleagues. #WritersBlock / #WriteMotivation: Do you sometimes need a little motivation in the mornings to get your writing started? Use these hashtags to find your inspiration. If you’re also an editor, use these hashtags to inspire authors. #WritersLife: If you have a fun image or quote to share about writing or the writing process, use this hashtag to amuse your author colleagues. #writetip / #writingtip: If you don’t have time to take a workshop, trying using these hashtags to learn more about your craft. Authors who are book coaches or editors can use these hashtags to attract new clients. #writing / #editing: These terms are similar to #amwriting and #amediting. #writingblitz: Use this term to let your followers know that today you are writing as fast as you can. #writingfiction: Fiction writers use this hashtag to meet each other or to share their books, goals, or ideas on writing fiction. #writingprompt / #writeprompt: Is it hard to get started on the next chapter of your novel? Well, worry no more. Log on to Twitter, search for this tag, and you’ll find a great prompt to get those creative juices bubbling.